The Kazakhs are known for embroidered designs and bronze statues that are found in major art museums around the world. To find the roots of this culture, the first place to start is the history of the people. The dynamic changes in the social, political, and religious landscape of the Kazakhs all combine to create a tapestry vibrant with color and texture tracing itself back a million years. During the early Stone Age, the steppes of Kazakhstan were already home to our human ancestors. A region abundant in berries, plants, and various animals, the early people found that subsistence could be an easy matter of roaming the land for the next cornucopia. Throughout the years, the land has been occupied by various other people such as the Khanates from the Orient, and the Russians from the Occident. The nation has also been a part of the Soviet states, and is now a flourishing republic with gross national product growth rates of approximately 9%, since the early nineties. Koreans have also resettled in the land. 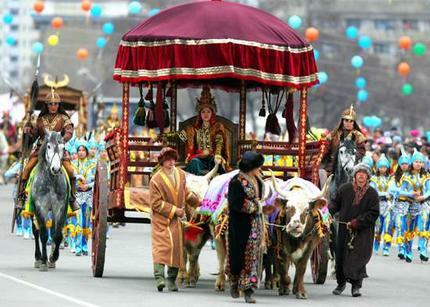 Today, the various mixes of ethnicities and traditions keep Kazakhstan one of the cultural diamonds of the East. 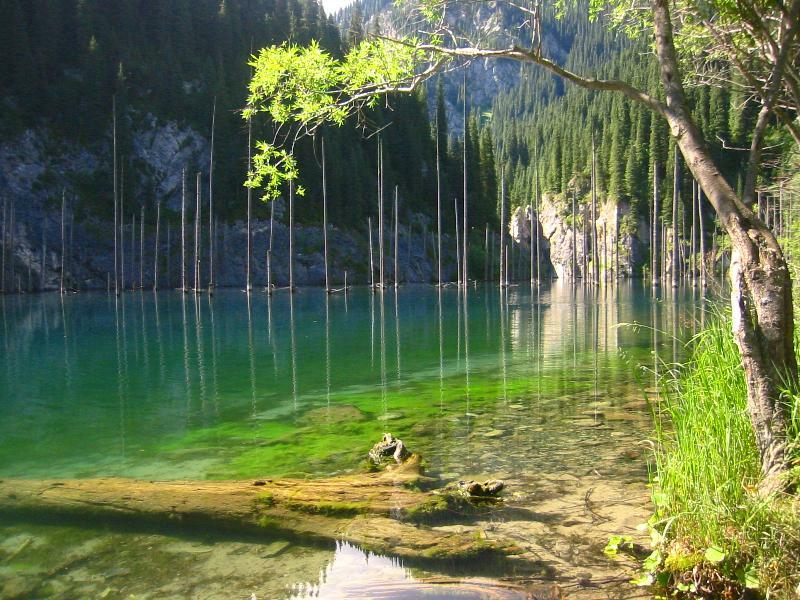 Between Old World charm and convenient modernity, Kazakhstan will not fail to hold your interest during your entire stay. So go ahead, take the plunge into a new landscape where history and nature find themselves intertwined. The nation is surrounded by the Caspian Sea and sections of Turkmenistan to the west, Kyrgyzstan and Uzbekistan to the south, China to the east, and Russia to the north. With just over two and a half million square kilometers of land, nearly 2,000 kilometers of coastline, and vast regions of deserts, steppes, and snow-capped mountain ranges, the country proves to be one of the most alluring and extravagant of nature’s mixes, a landscape of contrasts that highlights each destination in relation to the others. 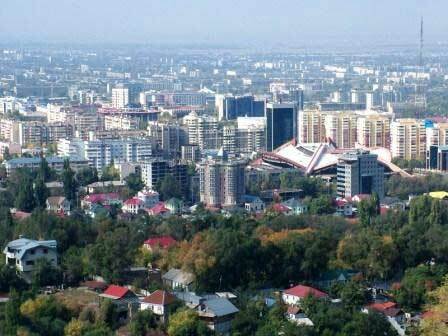 One of the key cities to visit in Kazakhstan is Almaty. Once the capital of the country, this great city is filled with spacious parks, long stretches of avenues for strolling, greeneries, and establishments that will provide for your entertainment and convenience. Various art houses are open for theater, ballet, and the visual arts. With beautiful products made of felt inscribed with gorgeous patterns, you are sure to enjoy browsing the many shops in the city. There are also many casinos, hotels, and malls. 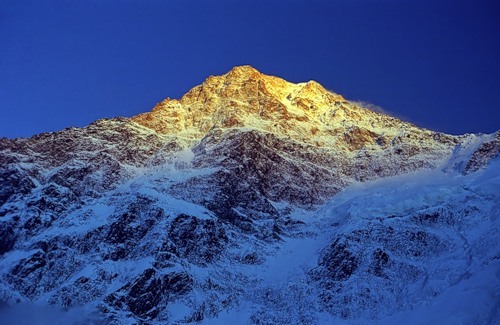 Perhaps one of the reasons why Kazakhstan has remained relatively quiet in the tourism circuits is because of the unique attractions it holds. 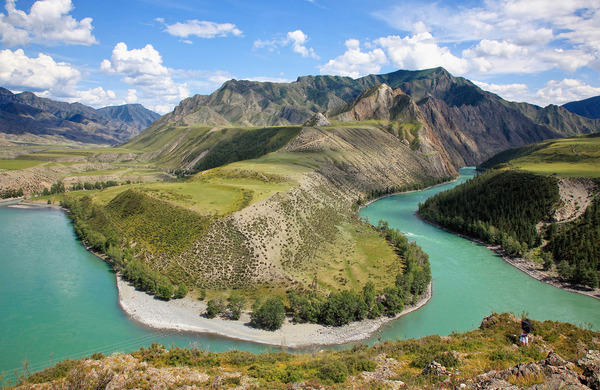 Unlike the tourist destinations in other places which pander to more common taste with spots like beaches or old temples, the Kazakhs’ treasures lie in the very world they live in. While there are few designated camping areas, you can always find the perfect spot amidst rolling hills and green fields or near the forested mountains to pitch your tent. Just remember to notify the tribes nearby, who will not only oblige but perhaps even treat you to a view of their traditional yurts, in keeping with the national spirit of hospitality. Aside from the idyllic play of warm deserts and cool mountains, you can also look into the great domes and mosques around the country. Among the well known events is the Nauryz, an ancient festival that traces its past to pagan rituals and in which the people visit each other, forgive past errors, and cancel debts. Best of all, the celebration spans an entire month. If chic and fashionable or wild and raving parties are your taste, you can always visit the cities for all the pleasures of modernity. Because of its fabulous parties, you can expect to find people from other nearby countries sharing in the fun. You can also drink local liquor which is sold 24 hours a day, seven days a week, or try their inexpensive vodkas. There are also many bars and clubs to hang out in, to sip a nice latte or drink some ale. The Kazakhs have a charming culture centered on hospitability and grace. Uninvited or not, the standard treatment in a Kazakh household is always to treat the visitor with utmost and lavish attention. Find yourself entertained in the traditional portable houses called yurts which are made of felt and which, it has been said, can be dismantled by the women in less than an hour. These homes can be carted from one place to another by ox and are perfect for the nomadic life from which the Kazakhs trace their ancestry. Art and decoration is integrated in the very identity of the Kazakhs, with unadorned spaces virtually unknown to their culture and tradition. From the fox-fur caps to the chapans men wear or the women’s’ traditional clothes called kimeshek, detail and décor are the operative concepts. And it is not just the visual field of aesthetics that the Kazakhs excel in, but also linguistics and music. In fact, they combine both in impromptu outdoor poetry competitions where the poets or akyns perform impromptu with the national stringed instruments accompanying their verses, woven from a language that is one of the most complex. Find yourself seated in the tradition low table, or "dastarkhan," and enjoy Kazakh cuisine which begins with a drink of either kumys, shubat, or airan, which are fermented mare’s, camel’s, or cow’s milk, respectively, while munching on dairy-based foods. For an appetizer, try mutton with home-made flat-bread before enjoying the "beshkarmak," a meat dish eaten in a carefree fashion with your bare hands.